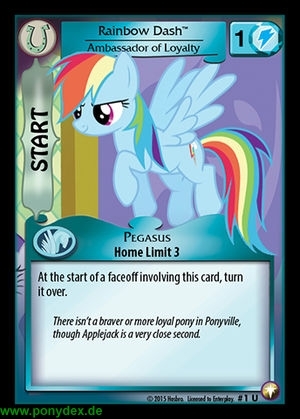 There isn't a braver or more loyal pony in Ponyville, though Applejack is a very close second. Main Phase: Exhaust this card to move it. 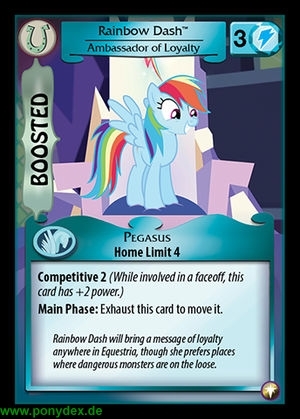 Rainbow Dash will bring a message of loyalty anywhere in Equestria, though she prefers places where dangerous monsters are on the loose.